We arrived this past Saturday in Rockport with temperatures in the 90's! You would have thought we were in Florida. But things have settled back to normal and temps are now pleasant again. I have filled my bird feeders and it only took a few days for feathered friends to discover them. and even squeezed in some photo time. Of dinghies. Dinghies, dinghies, everywhere. The older, the better character they display. 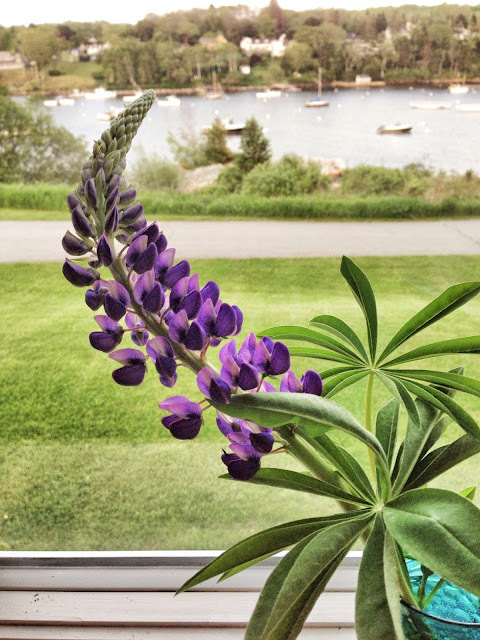 The lupines are blooming and they are gorgeous. For the first time in my adult life, I finally have a lilac bush. of childhood on my grandparent's farm. And all I really want to do is inhale lilacs! The perfume of lilacs transports me back to happy times too. There was a hedge of massive lilacs at my grandparents place . . . I too am weeding but a square yard a day is more than is good for this ageing body. Enjoy your time in Maine and think of me when you dig into one of those luscious crayfish. HI Reena...Welcome back, and it was some darn hot,liking the weather now!! Your boat shots are typical Maine coast made inviting!! Lupines are just the most gorgeous wildly grown, and lilacs yummy smelling!! One day I will have to return to my birthplace, Maine. Your dinghy shots are awesome. Enjoy the cool days. We are stuck in the 90s from now until fall. Ugh. 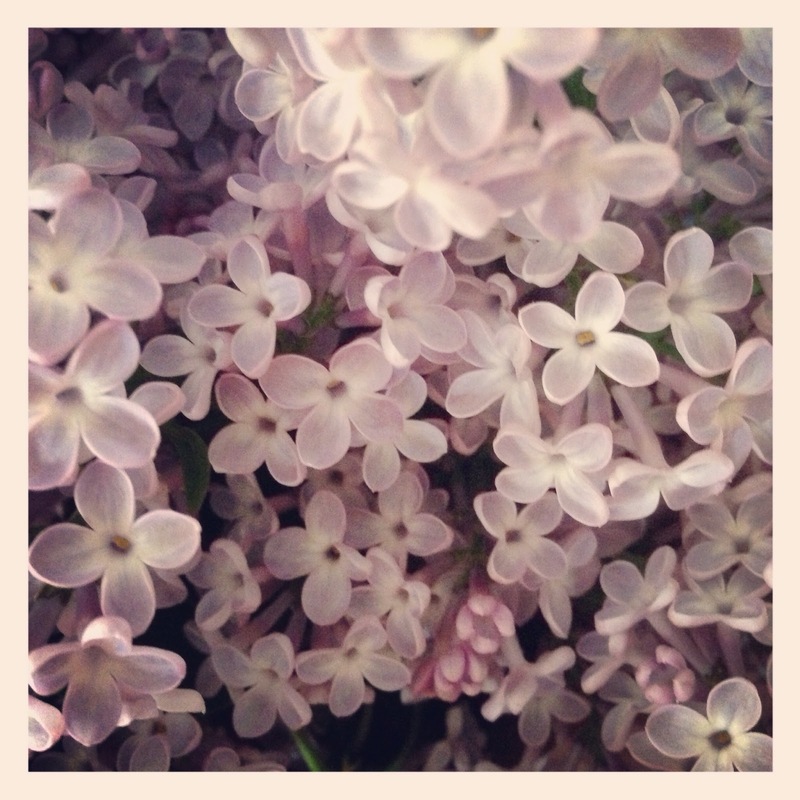 Lilacs and their fragrance are among my special favorites! Wonderful captures of a beautiful place as well! Hope your week is going well, Reena!! Nothing better than inhaling lilacs!! Great captures! Have FUN!! Wish I was there. Your photos really convey the beauty. totally jealous on the lilacs. loved the boats in the water ripples. 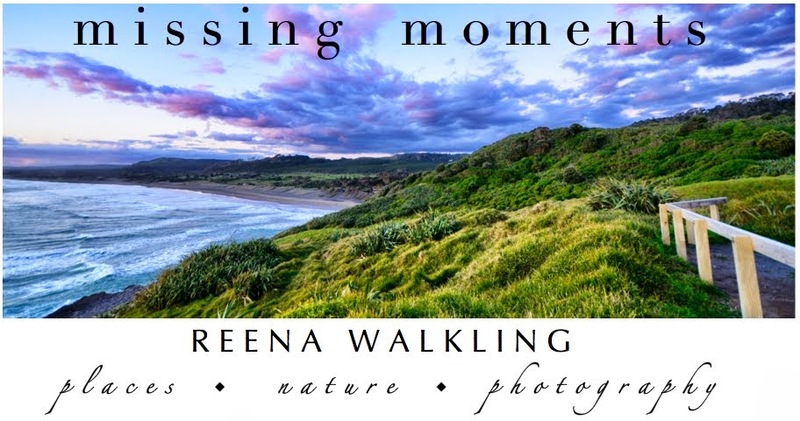 Another beautiful "travelogue" of your "places," Reena! The dinghies make such wonderful photo subjects, and your flower images are beautiful. I love the scent of lilacs too, I wish the blooms would last all summer! 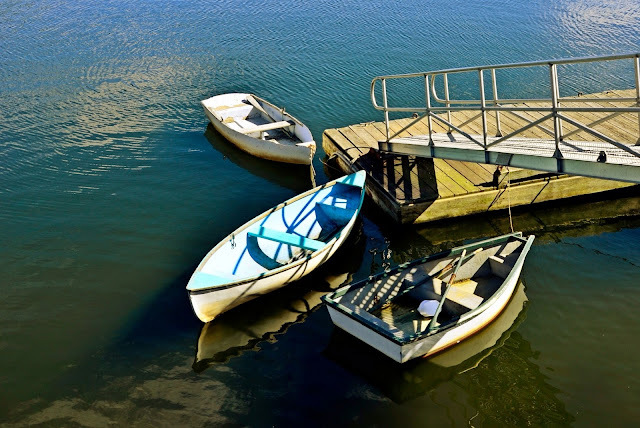 Pretty shots of the water and the dinghies! Such lovely photos as usual....OH MY Gracious 90's in NE in June. I hope this is just a short heat wave. I hear there isn't a lot of a/c in homes up there. Looks like such a beautiful place! You caught it perfect. Too bad about the heat. At least you are by the water to cool off if need be. Your lupine and lilacs are gorgeous Reena. i bet those lilacs are so great to breathe in ... nice!! i love your views. great reflection. gorgeous blooms ... so enjoy your share here. Your every minute is fully occupied. How very fragrant and gorgeous! Enjoy. 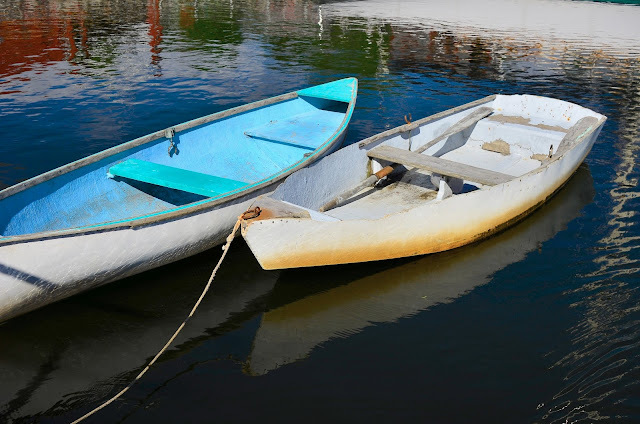 Lovely dinghy photos and yes, the scent of lilacs...wonderful! 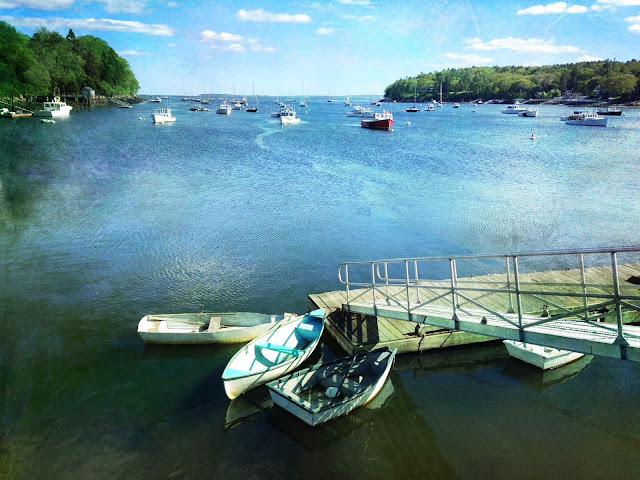 Lucky you to spend your summers in Rockport!! There's nothing like the smell of lilacs with that of the ocean. Enjoy! I do love lilacs too--And I hope you've found more time to enjoy them! I know rain is finding its way to you, so stay warm (cold here in VA) and I hope you have a lovely weekend!! The photos of your wooden boats remind me of a Monet painting. Beautiful. The 70's sound perfect. It was way to hot here in the desert. Your photos are beautiful. Enjoy your busy time my friend. Very nice photos! Out of the pan and into the fire! It looks like such a perfect spot. I love lilacs too. I could almost smell yours. What beautiful photos! We're also by the seaside and it was also sunny on the weekend. Alas, it is cloudy and rainy now! 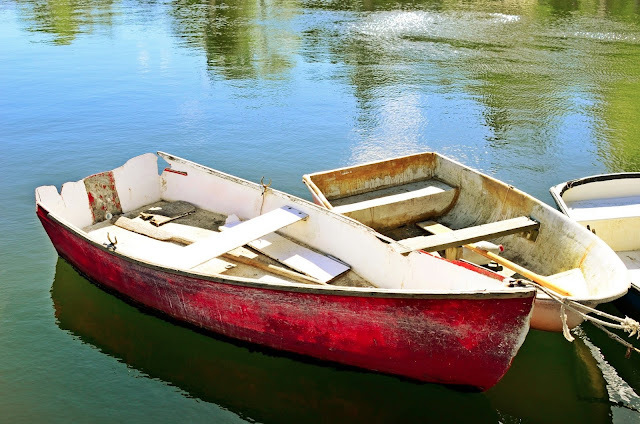 Great boat photos with colors, light/shade. wonderful, wonderful photos! Those lupines! Enjoy your summer!